This week’s Galveston County Animal Resource Center pets of the week are Mojo JoJo and Hurley. His name is Mojo JoJo (A016673). 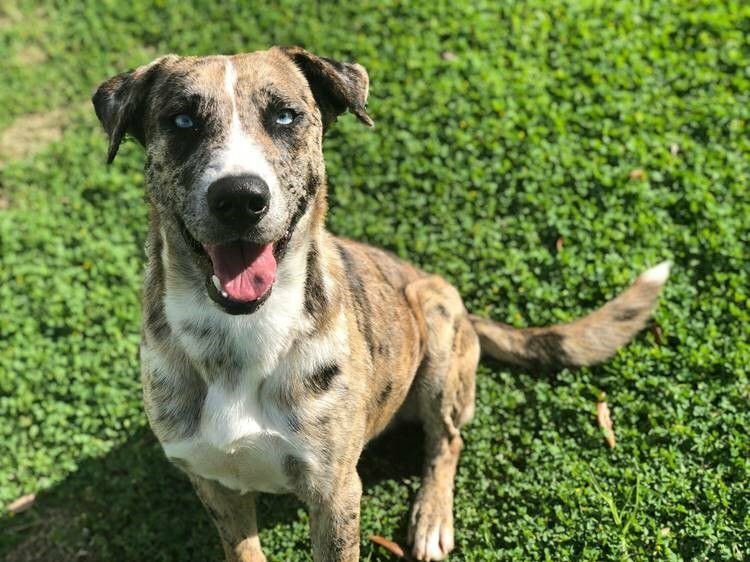 He is a well-mannered Catahoula mix who loves adventure, but is also perfectly content with relaxing by your side. Do you have room in your heart for a fun loving fella like Mojo JoJo? Please stop by for a game of fetch at the Galveston County Animal Resource Center. Hurley (A015279) is a domestic short hair with an orange tabby coat, and is often referred to as “Hurley the Handsome.” He certainly is a good-looking cat with his classic tabby swirls and striking shades of orange, copper and gold from his nose to the tip of his ringed tail. Hurley is sweet and a little on the shy side. Spend a few minutes getting acquainted and Hurley warms up and doesn’t want you to leave. He’s ready for his forever home — about a year and a half old, neutered. Is Hurley the cat of your dreams? Videos of the pets of the week can be viewed on www.facebook.com/garcpets and www.youtube.com. Mojo JoJo and Hurley are available for adoption Tuesday through Saturday at the special rate of $42.50. Pet of the week adoptions include rabies vaccination, spay or neuter and microchip. For more information, call 409-948-2485 or visit www.gchd.org. These and other pets are available at 3412 25th Ave N. in Texas City.